Your young patients have unique health requirements. We must not make the mistake of applying adult concepts and protocols to our youngest patients. This course is a comprehensive and up to date analysis of childhood healthcare designed to ensure you obtain a high level of expertise. It will give you the latest research and skills for the most common childhood presentations you are seeing in clinical practice. 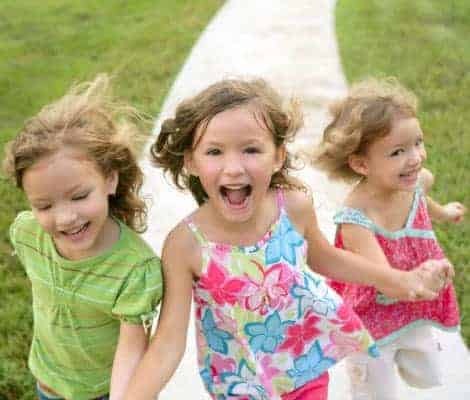 We have a rising allergy epidemic, the modern world is causing several psychological and toxicological issues, very poor gut function, and many more health challenges that children are facing. We need to rethink how we care for children as patients. Each of your Masterclass presenters are highly experienced clinicians, are very knowledgeable in their topic and have created a program that ensures you are going to receive plenty of valuable clinically gems. The first session opens with a much-needed discussion on childhood health – Assessment of the Unwell Child – with Dr Stuart Glastonbury. Stuart demonstrates how to properly assess the younger patient and, very importantly, how you can identify the red flags that require immediate attention. Children are susceptible to several life-threatening medical circumstances including fevers. We need to be able to recognise these promptly and know exactly what to do about them. Stuart has case studies and videos to demonstrate childhood assessment and will identify the red flags. He will also give you a systematic approach to the physical examination of children. This session is a must attend session for every practitioner. Jason Hawrelak ND, PhD has presented the Health Masters LIVE Natural Gastroenterology Masterclass One and Two and has changed the way natural physicians treat the gut. Many now use his recommendations and strategies every day in their practice. Session two of this Masterclass will be similarly practice changing. In the early years the gut microbiome is setting itself up for life. One of the best things you can do for any child is to ensure they have good digestion and a complete and robust bacterial community, leading to healthy gut function. This circumvents many of the very common childhood illnesses and will improve every child’s lifelong health status. Jason will also show you how to most effectively treat children with diarrhoea and constipation, bacterial, viral and parasitic infections He will also show you how to manage gut function for children on antibiotic treatment. He will give you a clinical guide for the specific probiotics, prebiotics, symbiotics and gut foods for each case. Kimberly O’Brien is a highly respected Sydney child psychologist. 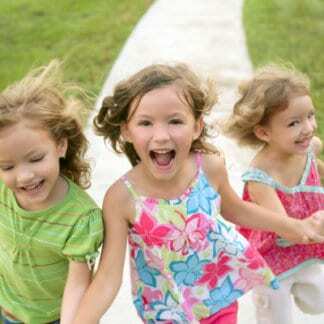 A happy, carefree and nurturing childhood is not enjoyed by every child. Many are anxious, troubled, stressed, not eating, or sleeping poorly. It may be due school, parental issues, digital media, bullying or abuse. We have the opportunity to give these kids a beautiful childhood if we can recognise the signs and know what to do or where to get help. Stress and anxiety in children requires careful investigation and a considered approach. Kimberly will give you clear strategies to assist the stressed, traumatised or anxious child. Many children are struggling in a complex and challenging world. Reducing stress and assisting children to cope is as fundamental to them getting well as it is to adults, and probably more so. This is clearly a comprehensive and deep analysis of children’s needs and childhood conditions. There is a deliberate and strong emphasis on natural practical clinical strategies to ensure you receive what you need so your young patients receive the best quality natural care available. We have an out of control allergy epidemic and all clinicians are seeing a rapidly increasing number of children presenting with allergic conditions. Dawn Whitten ND addresses this very common presentation, which is also a contributor to many paediatric diseases. She will address food and airborne allergies and the progressive nature of allergies known as the Allergic March. Dawn is giving us the latest on allergic causation, and also a comprehensive discussion on allergy testing and test interpretation. In our next topic, infection in children is covered comprehensively with Daniel and Belinda Robson. They discuss the most frequently presenting childhood infections in detail giving you lots of clinical tips and treatment protocols. Daniel focuses on systemic infections and immune support. He begins with supporting acute and then chronic immune function and will specifically address the common skin infections in children, also urinary tract infection and chicken pox. Belinda gives us a detailed discussion on cough analysis in children along with her treatment strategies for the many respiratory infections that children are prone to. She shares her strategies for treating otitis media and gives us her clinical gems with regards to herbal dosing in children, including how to make herbal preparations palatable for kids. Tabitha McIntosh ND, BMedSci completes our program with two presentations, both on critical topics – daily diets and dosing. Giving a child a healthy diet is fundamental, but not that common. A huge number of children are missing out on basic nutritional needs. Tabitha will identify the major culprits, how to assess and remedy them with a healthy diet specifically for children. She also addresses a problem many parents struggle with; fussy eaters. Belinda addresses herbal dosing and in this session, Tabitha addresses correct dosing using nutritional medicines. In the final session Tabitha shows us how to care for children in an increasingly toxic world. Children are extremely susceptible to toxins, which can affect all body systems, especially brain development. She will identify the most likely culprits affecting immunity, neurodevelopment and endocrine disruption amongst others. Tabitha will also share with you her toxicity questionnaire specific for children to detox and build toxin resilience in children. The focus of her presentation is about creating a low-tox living environment for children. 1. Cough – defining the character of the cough (history and clinical assessment) – and overarching treatment aims with different types of cough (spasmodic, dry irritated, wet stuck, deep). 2. Red flags and limits of therapy, referral guidelines. 4. How safe is seafood? 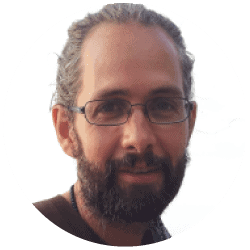 Dr. Stuart Glastonbury is an integrative medical practitioner working in Newcastle, NSW. He is a past board member of the National Herbalists Association of Australia and current board member of the Australasian Integrative Medicine Association. He is a Fellow of the Royal Australian College of General Practitioners with a clinical focus on paediatric wholistic health care. Stuart is currently completing a Masters of Public Health at Newcastle University and is an advocate for equitable integrative and naturopathic health. 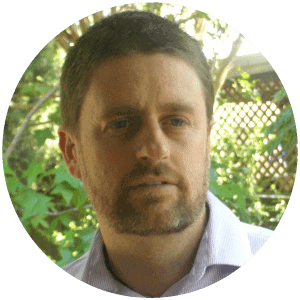 Dr Jason Hawrelak is widely recognised as a leading authority on the natural approach to gastrointestinal conditions and completed his PhD examining the role of probiotics, prebiotics, and other natural medicines in IBS in 2007. Jason did his Honours and PhD degrees in the area of Intestinal Dysbiosis, Irritable Bowel Syndrome and the clinical applications of pre- and probiotics. He has written extensively in Australian and international textbooks and journals on these topics, including Pizzorno and Murray’s Textbook of Natural Medicine (3rd and 4th editions) and the Australian texts Clinical Naturopathy: An Evidence-based Guide (1st and 2nd editions) and Herbs and Natural Supplements: an Evidence-based Guide (4th edition). Kimberley O’Brien is one of Australia’s most trusted and recognized Child Psychologists with a knack for solving issues from the child’s perspective. She is Principal Psychologist at the Quirky Kid Clinic in Woollahra (Sydney). Kimberley enjoys an active role in the Australian media and is currently the resident psychologist for the Channel 10′s Breakfast program and the official child psychologist for the parenting website ‘Essential Kids’ by Fairfax Media. She has lectured Doctorate and Masters level students at the University of Western Sydney and currently conducts interactive seminars and practical workshops around Australia and NZ to diverse audiences. 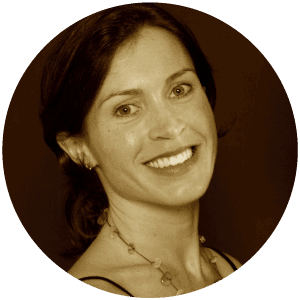 Dawn is a naturopath, herbalist and recently a lactation consultant. She has been in clinical practice for 11 years and has a broad-base of clinical experience. She has a particular interest in women’s health through pregnancy and beyond, and infant and toddler health. Dawn regularly presents to her peers at international conferences and local events and has published in the peer reviewed literature, including The British Journal of Pharmacology. Dawn believes that the art of Natural Medicine is the ability to stay connected to the roots of our tradition and the living plants that we use, while engaging with and exploring contemporary insights that arise from clinical research and our clinical observations. Belinda & Daniel Robson have been in clinical practice for 10 years, and are part of the collective who operate Goulds Naturopathica. Goulds is a 133 year old Natural Medicine dispensary in Hobart, Tasmania. This historic business combines the growing of premium quality organic medicinal herbs and herbal medicine manufacture, with an over the counter dispensary and natural medicine clinic. Goulds has earned a valued role as a primary health service in the Hobart community, and it is in this context that Belinda & Daniel encounter many acutely unwell children and have developed extensive experience in the naturopathic management of childhood illness. It was starting her own family that prompted Tabitha’s interest and research into environmental health particularly around mothers, unborn babies, and infants. She has a particular interest in the hidden dangers of environmental chemicals and their impact on human development & health, and she knows that the long-term effects of exposures to these toxicants are yet to be fully realised. Tabitha is currently co-authoring a book on environmental chemicals and human health. This book represents her efforts to contribute on a larger scale, hoping that this book and it’s message reaches a much wider audience than she could possibly see in her own clinic. 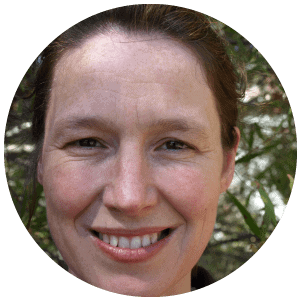 Tabitha also takes delight in lecturing and supervising at Endeavour College and Nature Care College in Sydney, as well as regularly presenting at conferences and seminars throughout Australia.